I think I have adequately expressed my love of seafood. It truly is so hard to get awesome seafood, fresh seafood living in KY. But that does not deter me. 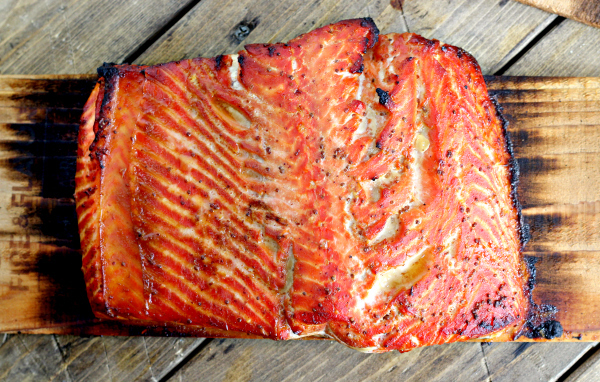 I recently had the opportunity to try some King Salmon from Pure Food Fish Market out in Seattle. Let me tell you a little about this awesome seafood market. They are located in the seafood capital of the west coast in Seattle. You can order whatever fish they have available, and this is all fresh by the way, and they will overnight it to you on dry ice. You will have in the span of 24hrs some of the freshest seafood you have ever had in your life! I knew when we had tried the crab that it was amazing, so being given the opportunity to cook and eat fresh King Salmon, this salmon lover was over the moon! In a large zip top bag place all marinade ingredients in and mix together. Place fish in bag and close tight. I would recommend putting the bag or bags in a dish so it doesn’t leak in the fridge. Allow to marinate for 2-4 hrs. When you are ready to cook place the fish on the planks and on the grill over low heat and cook until just firm to the touch or desired doneness. If you have an instant read thermometer about 120-125 degrees for a rarer salmon and up to 145 for more well done. But trust me when I say this fish is so good you don’t want to over cook it! 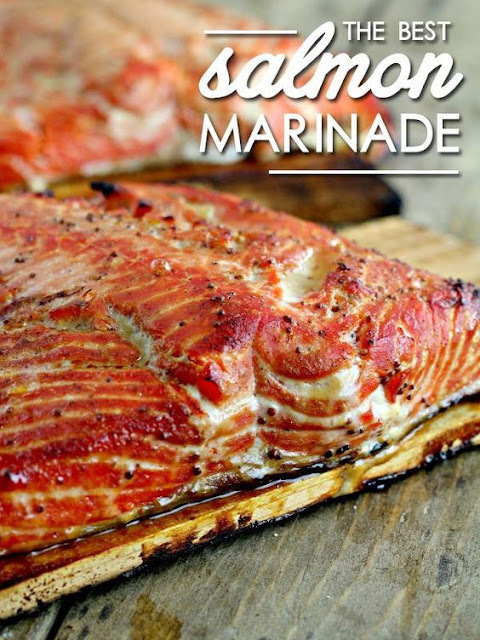 0 Response to "THE BEST SALMON MARINADE RECIPE"